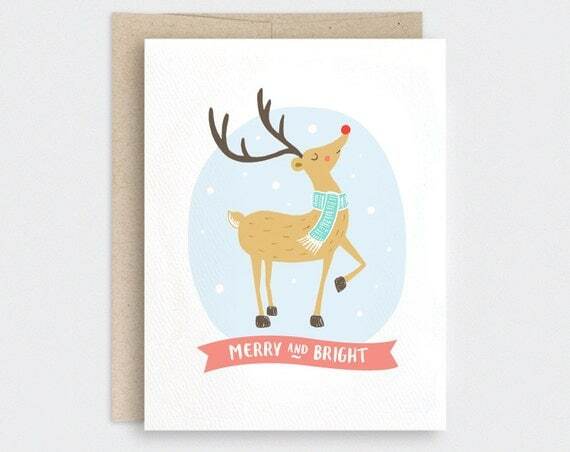 Made from recycled materials, an adorable illustrated card for Christmas and the holidays! A reindeer scene with Rudolph in a cute pose with light green and white scarf, fluffy tail, and fierce attitude to boot. Encapsulated in a light blue background with falling snow. Peach pink banner says Merry and Bright in white text. Available with Happy Holidays or Merry Christmas inside text.